As entrepreneurs we know how important it is to understand when to pivot and when to pull to a stop. We have reached the latter stage, and are sharing the news that the doors of InfinityFoundry are closing. Recently turning one proved to be the perfect time to reflect on everything we had done over the past year. 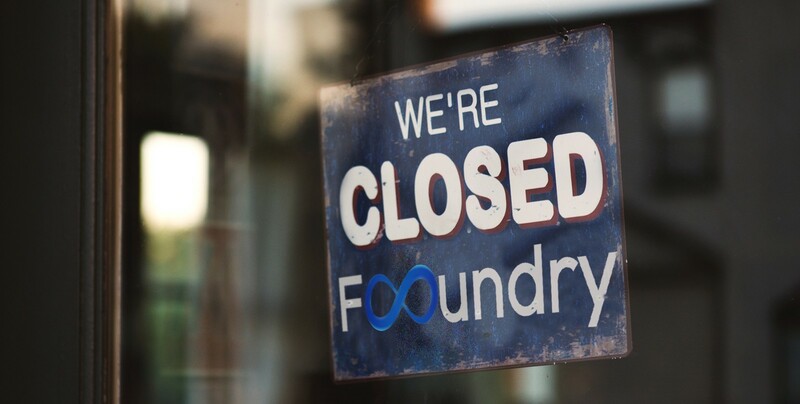 We optimistically approached the creation of InfinityFoundry as an experiment in community building, with a side goal of promoting the value of developing an entrepreneurial mindset. This project has brought us both great joy. The friendships and collaborations formed will endure the test of time. Every day businesses are born and die. For us, the challenges of working across two totally different time zones have taken their toll (as we were warned so many times that they would!) and we both feel ready to explore new pastures. Over the time we have worked together, only a few weeks of it has been face to face — a week in South Korea, a fortnight at MIT in Boston and a week in London. We set a time limit on the business from the start and it’s time to move on to the next chapter of our lives. Since meeting at the MIT Global Entrepreneurship Bootcamp in South Korea we have ticked many personal and shared goals including: growing a global community, getting accepted into the MIT New Ventures Leadership Teacher Bootcamp and successfully running a crowdfunding campaign to be able to attend. We had our first full-on experience of creating an online course and written over 20 articles to share the stories of some of the most innovative people we’ve met from around the world. We are both infinitely grateful for the wonderful times spent working and creating together, the invaluable lessons learnt, and the growth in experience and skills that this journey has gifted us with. We thank each and every one of you — stakeholders, fans, supporters, friends and peers — for your support and advice. Most of all, we thank our families for their patience, their understanding, and for standing alongside us throughout this spectacular journey. *Our various InfinityFoundry channels will be gradually closed down between now and 31st October 2017, with the exception of this Medium channel with our articles. We frame this experience as a stepping stone towards other new and important future destinations. Adieu, InfinityFoundry. This is the end of one adventure and the beginning of new ones.